“Who is a God like unto thee, that pardoneth iniquity, and passeth by the transgression of the remnant of his heritage? he retaineth not his anger for ever, because he delighteth in mercy” (Micah 7:18 KJV). The God of Israel “pardoneth iniquity.” Why? He “passeth by the transgression of the remnant of his heritage.” Why? He “retaineth not his anger for ever.” Why? How can He do these things? “He delighteth in mercy.” The God of the Bible is compassionate. Furthermore, He actually takes pleasure in holding back what we sinners deserve! How will He accomplish this? The Prophet Micah does not have the complete picture. All he can say is that wicked Israel, facing divine judgment (the fifth course of chastisement—the Babylonian captivity), will be forgiven one day. The LORD God will not be eternally angry at Israel! In his Book, Micah also speaks of the (yet future) Tribulation period and violent, wrathful Second Coming of Christ. 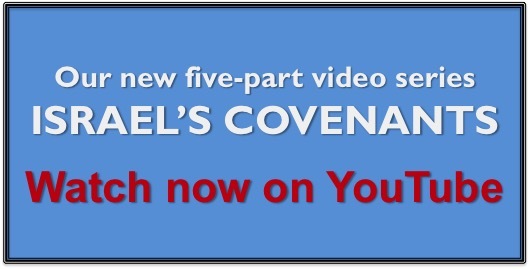 Despite that destruction, the Holy Spirit allows Micah to see Israel’s ultimate pardon. While there will be fury, there will also be mercy. God will hold back what sinful Israel deserves. How can He be fair, and yet not punish them to the extent that they deserve? With the revelation of the mystery, the Pauline revelation, now we see. It is on the basis of Christ’s shed blood! Returning to Romans chapter 3, part of God’s Word to Paul: “ For all have sinned, and come short of the glory of God;  Being justified freely by his grace through the redemption that is in Christ Jesus:  Whom God hath set forth to be a propitiation through faith in his blood, to declare his righteousness for the remission of sins that are past, through the forbearance of God;….” The “remission [forgiveness] of sins that are past” (cf. Hebrews 9:22b)—the cleansing of Israel’s sins—is found in the cross of Christ.